“Welcome Home Doves" is our new initiative spotlighting our reclaimed members. Sigma Omicron Zeta Lawrenceville welcomes Soror Gloria Nelson, Soror Alexis Jackson-Walker, Soror Michelle Pettway, and Soror Tamila Bynes. Soror Gloria Nelson is a 1967 initiate of the Theta Beta Chapter Tuskegee Institute. Soror Alexis Jackson-Walker is a 1992 initiate of the Omega Beta Chapter, Fayetteville State University. Soror Michelle Pettway is a Spring 1989 initiate of the Alpha Nu Chapter State University of New York, and Soror Tamila Bynes is a 2006 initiate of the Gamma Lambda Zeta Chapter Florida. SOZ is thrilled to have these ladies join us and we lovingly welcome each Soror home to Zeta! 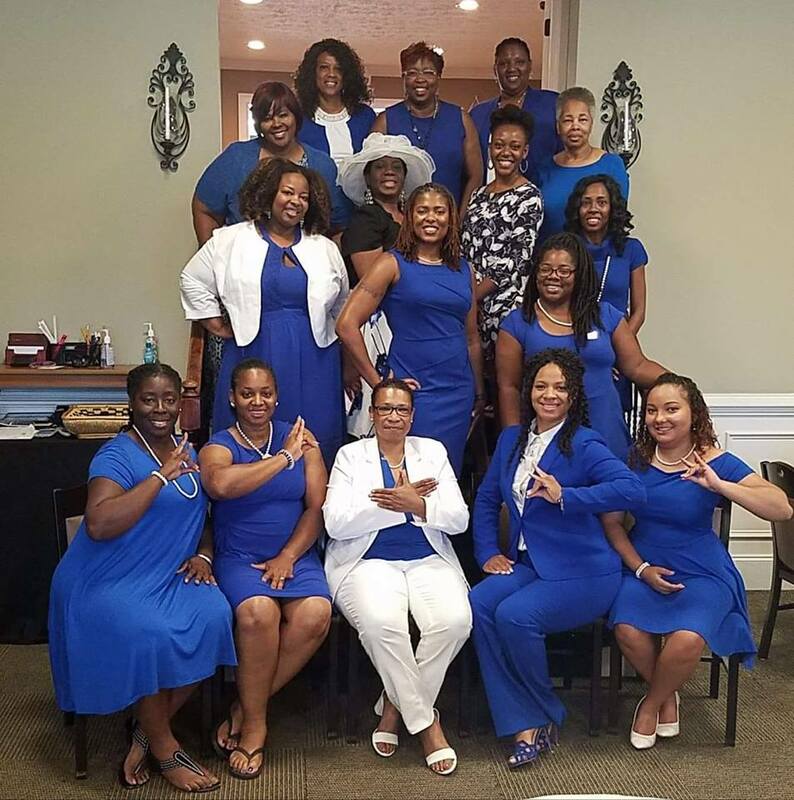 Sigma Omicron Zeta would like to welcome its newest members to Zeta Phi Beta Sorority, Inc. Sorors Jillian Colon, Renee Mitchell, Shadell Murray, Nicolette Pinnock, Lynn Walker, and Michelle Elias are 2017 Spring initiates. SOZ welcomes our new Sorors to the chapter and to the great Sisterhood of Zeta Phi Beta Sorority, Inc.
Sigma Omicron Zeta congratulates Soror Lilanta Joy Bradley for completing her Doctoral degree in Public Health from the University of Georgia in May of 2017. SOZ is proud of the accomplishments of Dr. Bradley and wish her infinite success in her future endeavors. Soror Bradley is a true testament to the principles of which we were founded!